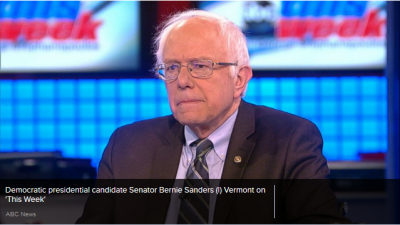 “Self-described socialist” … How many times have we all read that term in regard to Vermont senator Bernie Sanders? But is he really a socialist? Or is he a “social democrat”, which is what he’d be called in Europe? Or is he a “democratic socialist”, which is the American party he has been a member of (DSA – Democratic Socialists of America)? And does it really matter which one he is? They’re all socialists, are they not? Following an earthquake or other natural disaster, businesses raise their prices for basic necessities such as batteries, generators, water pumps, tree-removal services, etc. In the face of widespread medical needs, drug and health-care prices soar, while new surgical and medical procedures are patented. The cost of rent increases inexorably regardless of tenants’ income. Ten thousand types of deception to part the citizens from their hard-earned wages. What do these examples have in common? It’s their driving force – the profit motive; the desire to maximize profit. Any improvement in the system has to begin with a strong commitment to radically restraining, if not completely eliminating, the profit motive. Otherwise nothing of any significance will change in society, and the capitalists who own the society – and their liberal apologists – can mouth one progressive-sounding platitude after another as their chauffeur drives them to the bank. I personally could live with the neighborhood grocery store remaining in private hands, but larger institutions are always a threat; the larger and richer they are the more tempting and easier it is for them to put profit ahead of the public’s welfare, and to purchase politicians. The question of socialism is inseparable from the question of public ownership of the means of production. The question thus facing “socialists” like Sanders is this: When all your idealistic visions for a more humane, more just, more equitable, and more rational society run head-first into the stone wall of the profit motive … which of the two gives way? The most commonly proposed alternative to both government or private control is worker-owned cooperatives or publicly owned enterprises managed by workers and consumer representatives. Sanders has expressed his support for such systems and there is indeed much to be said about them. But the problem I find is that they will still operate within a capitalist society, which means competition, survival of the fittest; which means that if you can’t sell more than your competitors, if you can’t make a sufficient net profit on your sales, you will likely be forced to go out of business; and to prevent such a fate, at some point you may very well be forced to do illegal or immoral things against the public; which means back to the present. Eliminating the profit motive in American society would run into a lot less opposition than one might expect. Consciously or unconsciously it’s already looked down upon to a great extent by numerous individuals and institutions of influence. For example, judges frequently impose lighter sentences upon lawbreakers if they haven’t actually profited monetarily from their acts. And they forbid others from making a profit from their crimes by selling book or film rights, or interviews. The California Senate enshrined this into law in 1994, one which directs that any such income of criminals convicted of serious crimes be placed into a trust fund for the benefit of the victims of their crimes. It must further be kept in mind that the great majority of Americans, like people everywhere, do not labor for profit, but for a salary. The citizenry may have drifted even further away from the system than all this indicates, for American society seems to have more trust and respect for “non-profit” organizations than for the profit-seeking kind. Would the public be so generous with disaster relief if the Red Cross were a regular profit-making business? Would the Internal Revenue Service allow it to be tax-exempt? Why does the Post Office give cheaper rates to non-profits and lower rates for books and magazines which don’t contain advertising? For an AIDS test, do people feel more confident going to the Public Health Service or to a commercial laboratory? Why does “educational” or “public” television not have regular commercials? What would Americans think of peace-corps volunteers, elementary and high-school teachers, clergy, nurses, and social workers who demanded well in excess of $100 thousand per year? Would the public like to see churches competing with each other, complete with ad campaigns selling a New and Improved God? Pervading all these attitudes, and frequently voiced, is a strong disapproval of greed and selfishness, in glaring contradiction to the reality that greed and selfishness form the official and ideological basis of our system. It’s almost as if no one remembers how the system is supposed to work any more, or they prefer not to dwell on it. It would appear that, at least on a gut level, Americans have had it up to here with free enterprise. The great irony of it all is that the mass of the American people are not aware that their sundry attitudes constitute an anti-free-enterprise philosophy, and thus tend to go on believing the conventional wisdom that government is the problem, that big government is the biggest problem, and that their salvation cometh from the private sector, thereby feeding directly into pro-free-enterprise ideology. Thus it is that those activists for social change who believe that American society is faced with problems so daunting that no corporation or entrepreneur is ever going to solve them at a profit carry the burden of convincing the American people that they don’t really believe what they think they believe; and that the public’s complementary mindset – that the government is no match for the private sector in efficiently getting large and important things done – is equally fallacious, for the government has built up an incredible military machine (ignoring for the moment what it’s used for), landed men on the moon, created great dams, marvelous national parks, an interstate highway system, the peace corps, social security, insurance for bank deposits, protection of pension funds against corporate misuse, the Environmental Protection Agency, the National Institutes of Health, the Smithsonian, the G.I. Bill, and much, much more. In short, the government has been quite good at doing what it wanted to do, or what labor and other movements have made it do, like establishing worker health and safety standards and requiring food manufacturers to list detailed information about ingredients. Activists have to remind the American people of what they’ve already learned but seem to have forgotten: that they don’t want more government, or less government; they don’t want big government, or small government; they want government on their side. Period. Sanders has to clarify his views. What exactly does he mean by “socialism”? What exactly is the role the profit motive will play in his future society”? The United States has not paid any compensation to Iraq. The United States has not made any apology to Iraq. Foreign policy is even more sensitive a subject in the United States than slavery of the black people and genocide of the Native Americans. The US has apologized for these many times, but virtually never for the crimes of American foreign policy. In 2014, George W. Bush, the man most responsible for this holocaust, was living a quiet life in Texas, with a focus on his paintings. “I’m trying to leave something behind”, he said. Yes, he has certainly done that – mountains of rubble for one thing; rubble that once was cities and towns. His legacy also includes the charming Islamic State. Ah, but Georgie Boy is an artiste. Iraq 2003 was in the 21st century. The pretext was completely trumped up. Senator John Kerry voted for it. Nice moral authority you have there, John. On the same occasion, concerning Ukraine, President Obama spoke of “the principle that no country has the right to send in troops to another country unprovoked”.Do our leaders have no memory or do they think we’ve all lost ours? Does Obama avoid prosecuting the Bush-Cheney gang because he wants to have the same rights to commit war crimes? The excuse he gives for his inaction is so lame that if George W. had used it people would not hesitate to laugh. On about five occasions, in reply to questions about why his administration has not prosecuted the like of Bush, Cheney, Rumsfeld, Wolfowitz, et al. for mass murder, torture and other war crimes, former law professor Obama has stated: “I prefer to look forward rather than backwards.” Picture a defendant before a judge asking to be found innocent on such grounds. It simply makes laws, law enforcement, crime, justice, and facts irrelevant. Picture Chelsea Manning and other whistleblowers using this argument. Picture the reaction to this by Barack Obama, who has become the leading persecutor of whistleblowers in American history. It appears that the German and Japanese people only relinquished their imperial culture and mindset when they were bombed back to the stone age during World War II. Something similar may be the only cure for the same pathology that is embedded into the very social fabric of the United States. The US is now a full-blown pathological society. There is no other wonder drug to deal with American-exceptionalism-itis.